Our fifth Antebellum Album block is a version of a pattern we might call Bear's Paw or Goose Tracks. This month's focus is a Massachusetts public school. 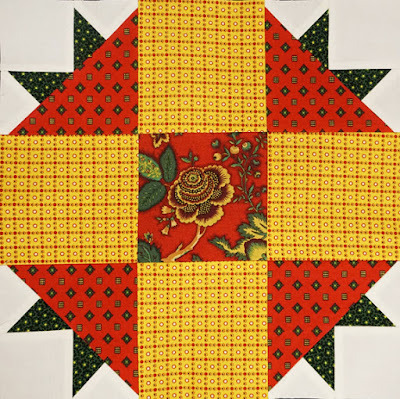 Like many 19th-century girls looking for an education, sixteen-year-old Lottie Forten left home to board with family friends while attending a girls' school as a day student. She'd grown up in Philadelphia where her father considered the available schools second rate. 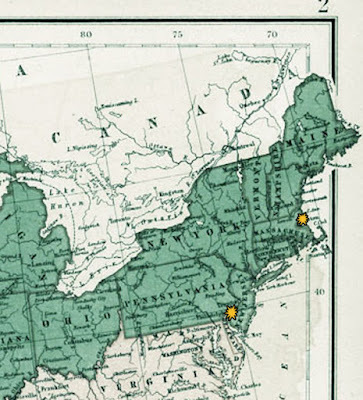 The only available schools for the Fortens were segregated colored schools. Free black Thomas Forten refused to send his daughter to a second-rate school. Another opportunity appeared in 1853. 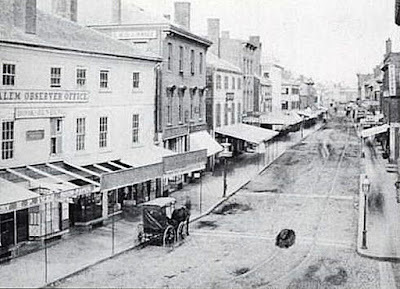 Lottie was invited to Salem, Massachusetts, which prided itself on a colonial tradition of free public schools. 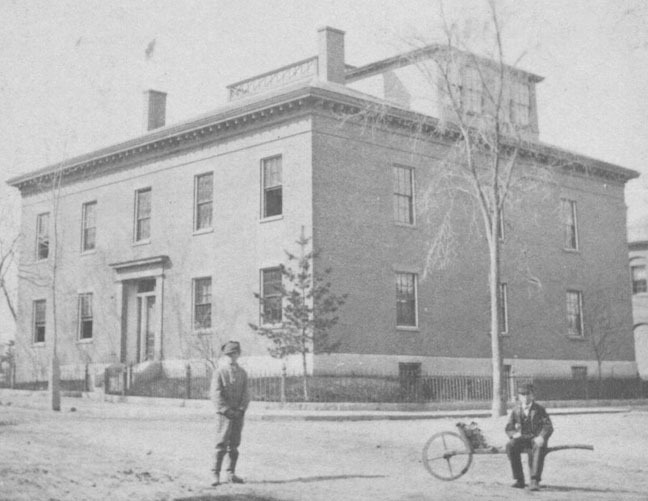 Nearly ten years earlier Salem became the first city in Massachusetts to integrate those schools after a boycott of the "inferior" separate school by black parents. 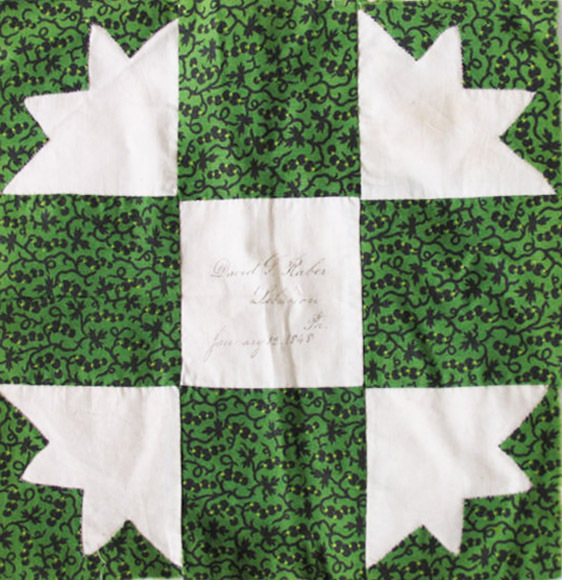 Lottie boarded with the Remond family, activists in the desegregation battle. stitched this sampler now in the collection of Colonial Williamsburg. 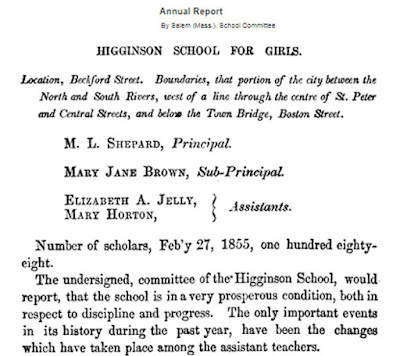 Salem schools may have been Integrated by law but Lottie was the only pupil of color in the Higginson Grammar School for Girls. 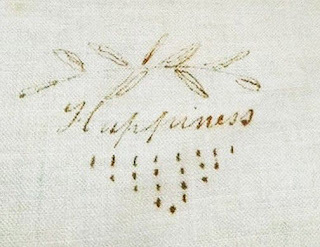 Her diary details the emotional ups and downs of a shy, self-disciplined but self-deprecating teenager who was periodically bed ridden with "lung fever." 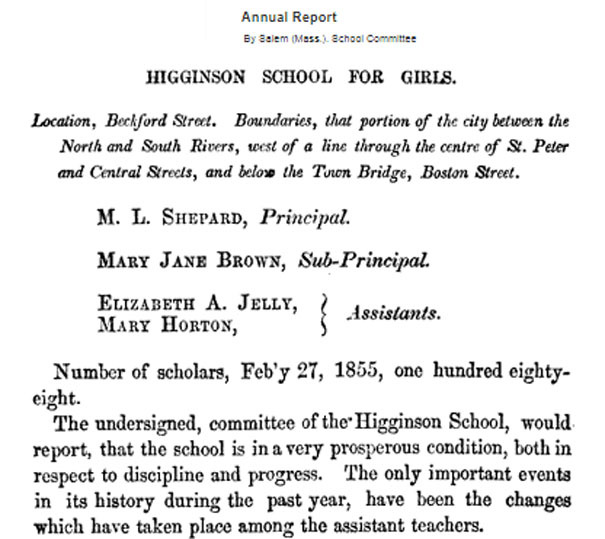 Although many of Higginson's 200 students were undoubtedly unkind (Lottie marveled that "every colored person is not a misanthrope") she made good friends such as Sarah Brown (Brownie) who kept in touch through letters after leaving Salem. Fitting in was difficult but Lottie benefited from principal Mary Lakeman Sheperd's attention and mentoring. Mary Sheperd, about 12 years older than her star student, also remained a lifelong friend. Lottie enrolled in the Salem Normal School, again as the only black student and first black graduate. She was then hired by the Salem public schools as the first black school teacher to teach white children. 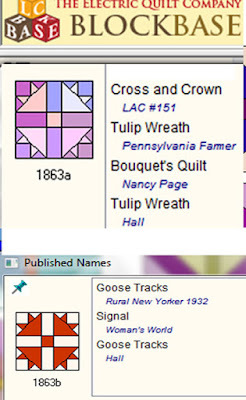 Cross and Crown seems a good block for Charlotte who was cursed or blessed by always being "first". rather than the more famous west coast state. 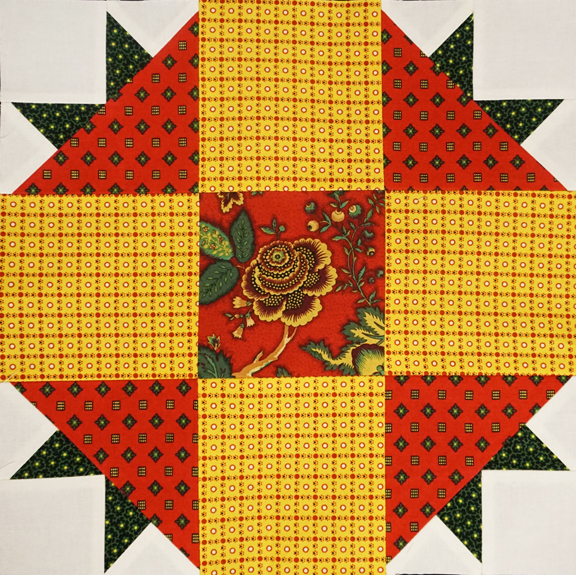 The block was quite popular for early friendship quilts. Quilt dated 1842 - 1848, Caroline Bradley Magruder. 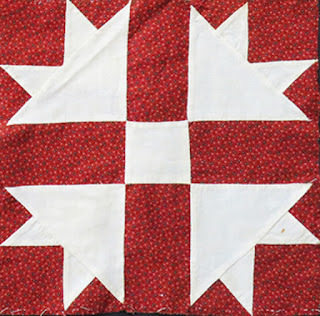 In the 1840s and '50s these nine patches were usually appliqued rather than pieced. 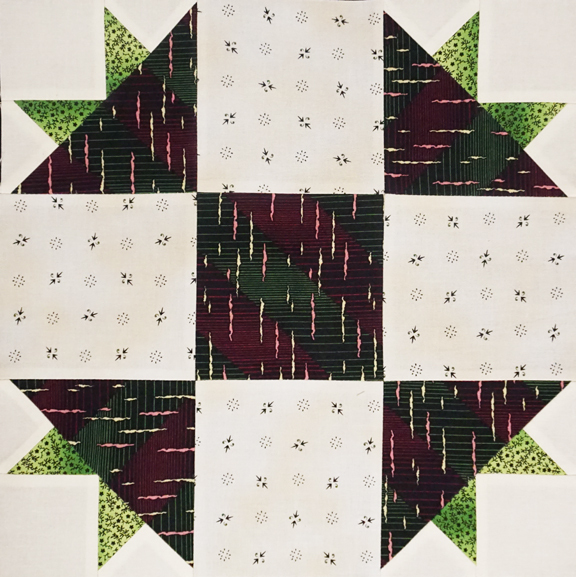 In the example below the quiltmaker began with white corner squares and appliqued 2 green triangles and one green square on top of the white. 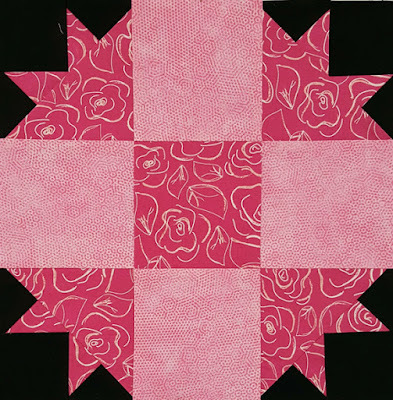 You'd start with a pieced pink nine-patch and add the red applique pieces. 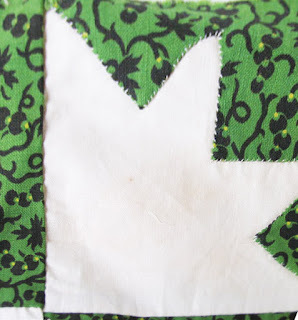 But we are not doing applique this year! because it wasn't published in this proportion. It should be on this page. 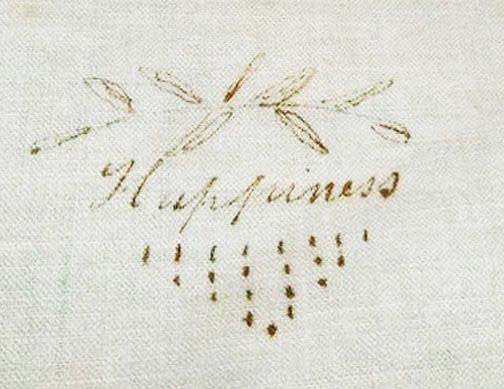 I'm writing it in my copy as #1713.5. 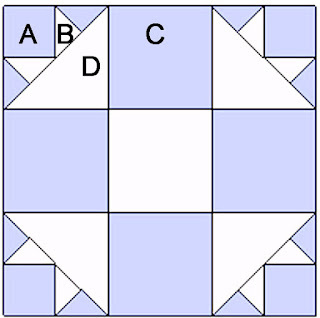 A pieced block of different proportions. 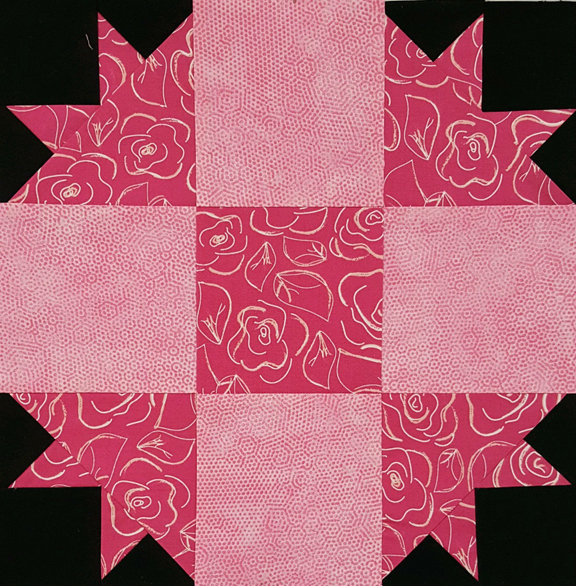 We're familiar, however, with numerous pieced variations based on a narrower center strip. 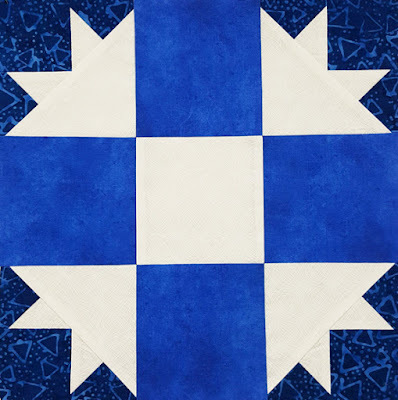 Here are a few 20th century names for BlockBase 1863 a and b.
while the pieced version have narrower center strips. 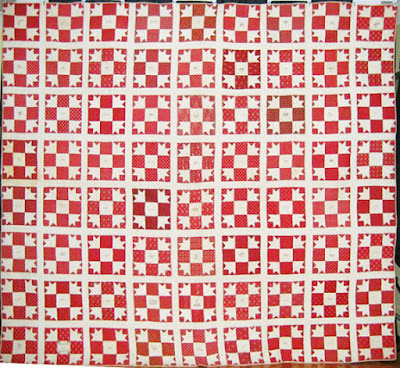 A - Cut 4 dark squares 2-1/2". 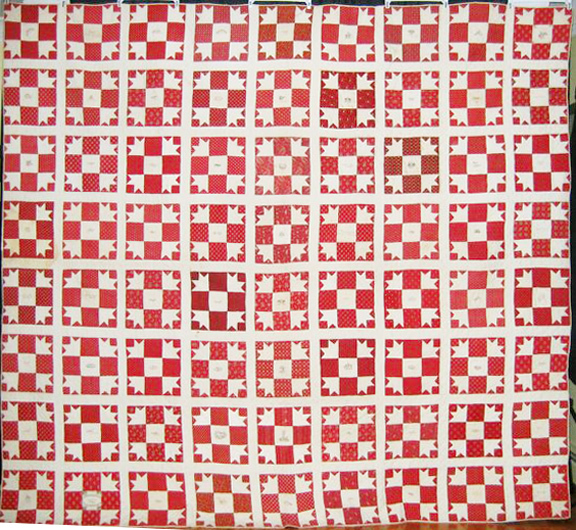 B - Cut 2 dark and 2 light squares 3-1/4". 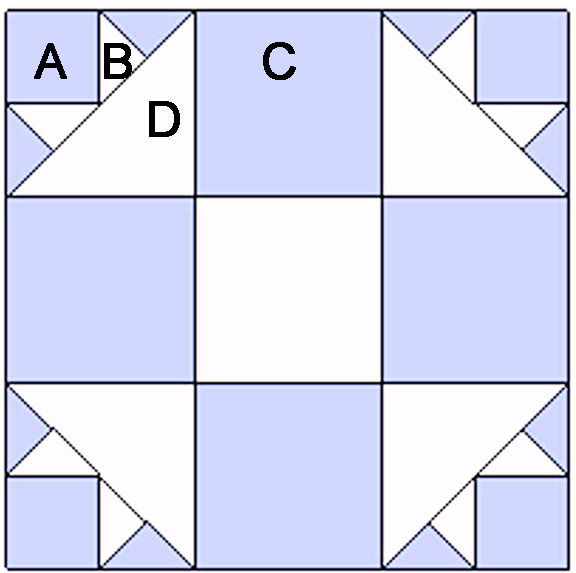 Cut each in half diagonally to make 2 triangles. 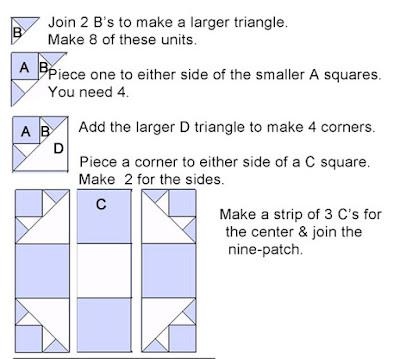 You need 8 light triangles and 8 dark. 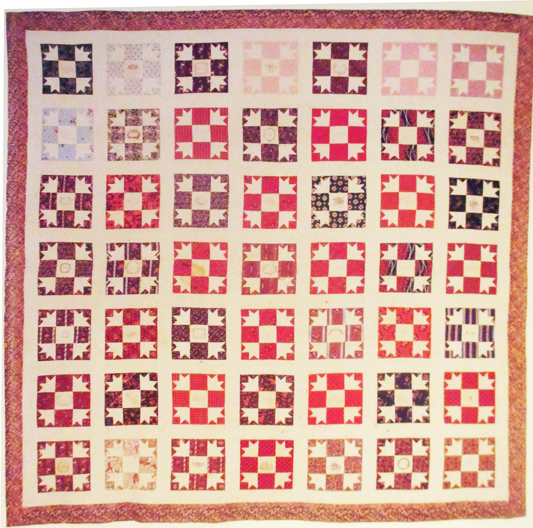 C - Cut 4 dark and 1 light squares 4-1/2". This is a correction. 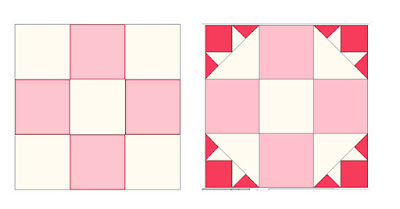 D - Cut 2 light squares 4-7/8". Cut each in half diagonally to make 2 triangles. You need 4. Charlotte spent some of her Civil War on St. Helena Island in Beaufort County, South Carolina, where she continued her diary. 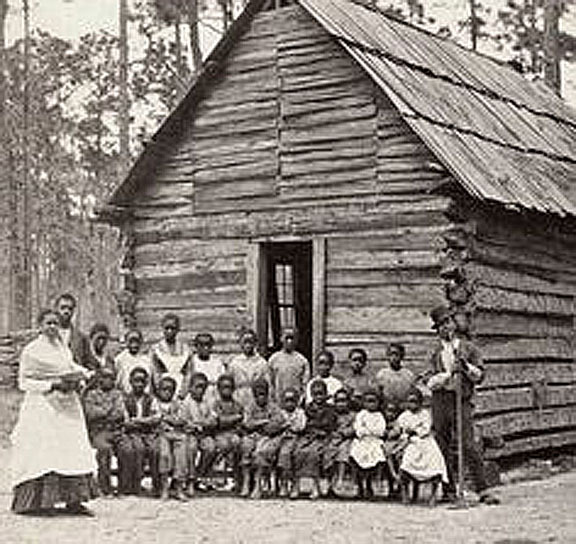 She taught freed slaves for two years until her health required she return North. The Penn School on St. Helen Island founded in 1862.
schools on Union-occupied territory during the war. 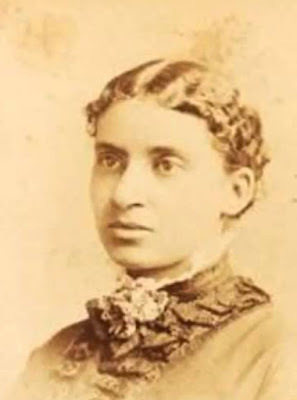 After the war she worked for the Treasury Department in Washington and married Reverend Francis J. Grimké. She died in 1914, praised as an exemplary minister’s wife and a poet, writer and lecturer in her own right. 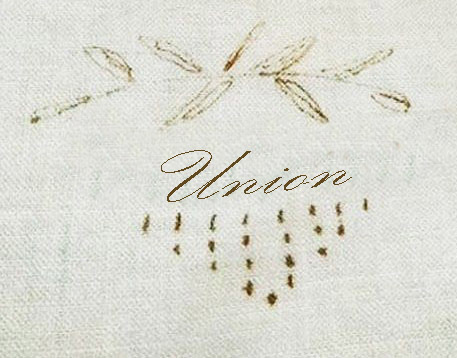 a Union shield so would make an appropriate Union sentiment. 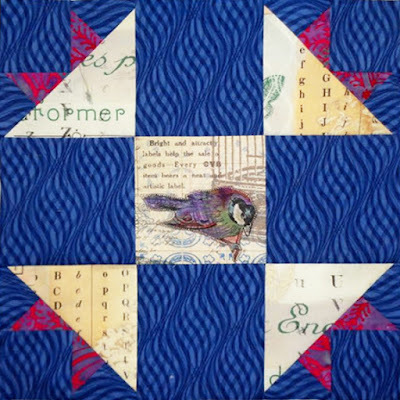 I show an album sampler each month with the monthly pattern in it but I cannot find this block in a sampler. 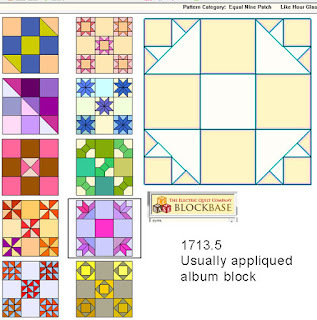 Apparently it was most often used for repeat block signature quilts. For those of you who want to plan ahead: Buy the PDF's for patterns 5-8 on Etsy. Or I'll mail you a black & white copy. An interesting and timely article -- I'll be doing more reading about Charlotte. Jeanne. Her diaries are classic. I just discovered that you'd written about her earlier, in Threads of Memory -- I thought her name seemed familiar. I will follow up. Thanks!! Barbara, I love June's block. Not only am I at work on my sampler, but I've been mulling over a block for red and white red and white quilt. I think this might be it! Thank you! Yes, indeed it’s a beautiful block! 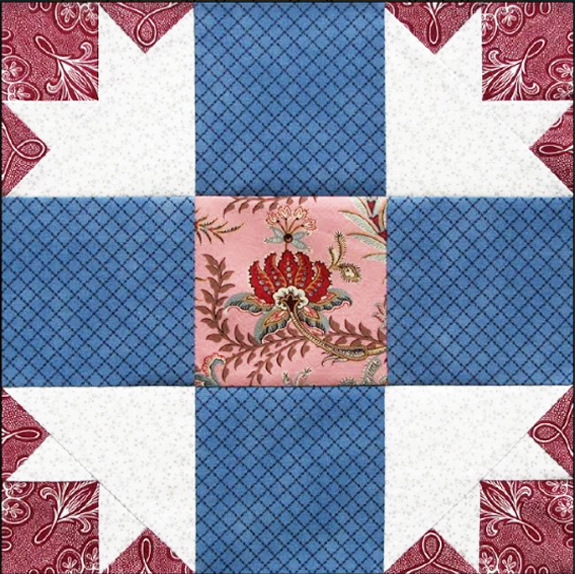 I just finished to pieced it and assembly the cirner’s squares, tomorrow morning I’ll assembly all the pieces. 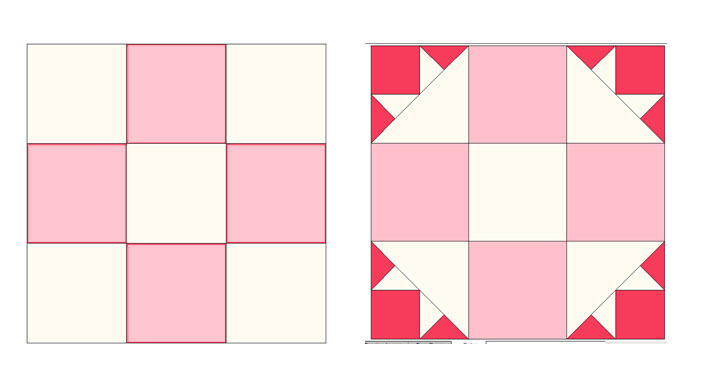 I noticed that there were three more light squares, and then I noticed the correction on the instructions. Thank you Barbara for this journey! This is a wonderful post...and interestingly, I visited the Franklin County (MD) Historical Society today and, amazingly, the quilt they had on display was a signature wedding quilt of Bear Tracks/Cross and Crown! 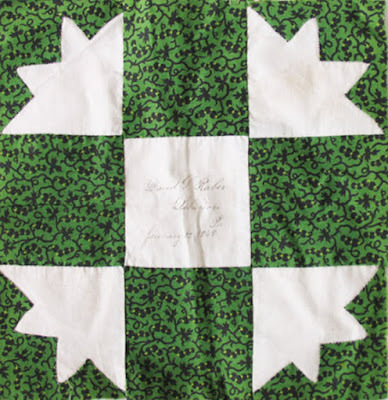 According to their research, the quilt blocks were started before the Civil War, for the wedding of Mary Ann Matilda Dixon and George Dudderar. 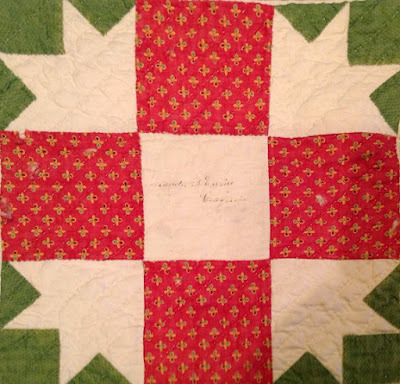 The wedding was postponed and so was the quilt when he was called to action. They married and it was completed in 1865. And...the corner blocks are appliquéd!! Really interesting...and thanks to this blog, I was prepared! 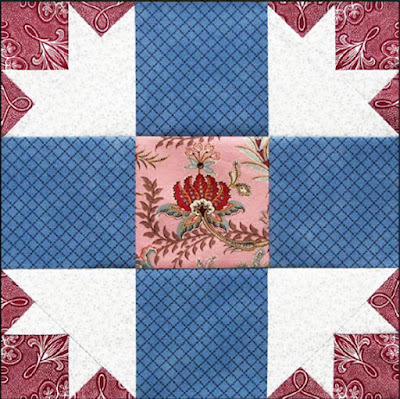 I will try to post some pix on the Antebellum FB page . 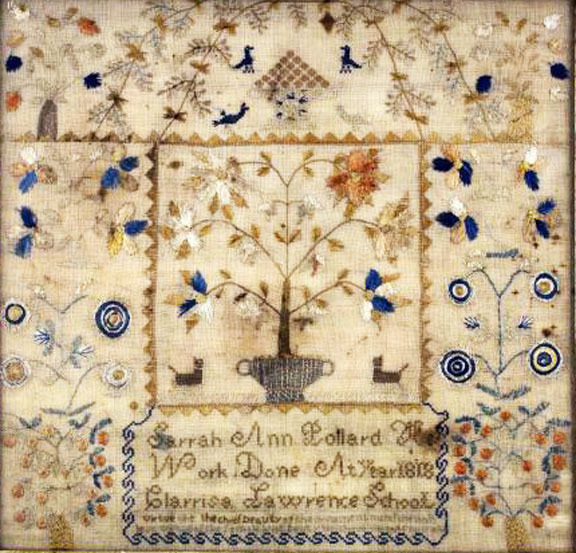 Does anyone know if a charted cross stitch pattern is available for the Sarrah Ann Pollard sampler shown?